Toronto and GTA Renovation | Who We Are? | YAR Construction Inc.
At our core we are a company of visionaries, passionate about building spaces that improve the lives and capture the essence of what our clients aim to achieve. We take pleasure in transforming a given space from standard defaults to ideal areas. Ben the owner is an engineer with a passion for design, seemlessly integrating the theoretical aspects of architecture and engineering with the practical aspects gained through years of construction experience and carpentry. Added to the team is our in-house electrician, carpenter and plumber. We bring on sub-contractors as required, of whome we have worked with in the past and know to be licenced and reliable. Yar Construction has over 12 years of experience in the construction and remodeling industry. We are a general contractor specializing in every aspect of remodeling and restoration. We have built relationships with excellent vendors, city inspectors and architects across the GTA. We believe in getting to know our client’s personalities, desires and lifestyle to bring your vision to life. 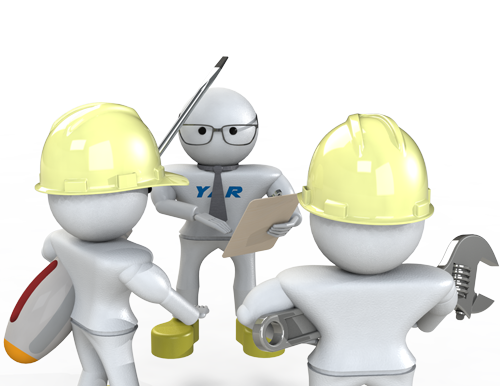 At Yar Construction we take great effort to ensure our clients understand the process and any expectations they may have with their new project. Visit the "Getting Started" section of our site to get an idea of how to begin your next home renovation.